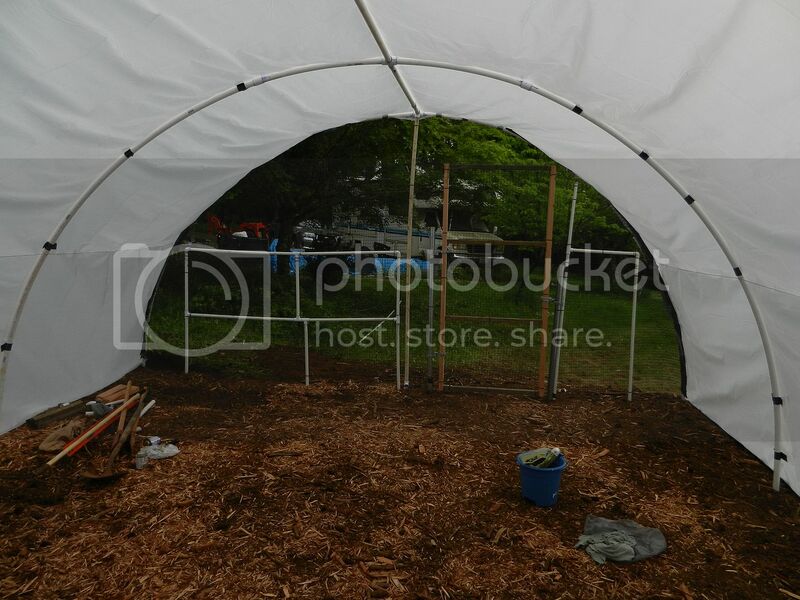 I put together a poly tunnel greenhouse and I showed how I did it in photos if you wish to try and make one. 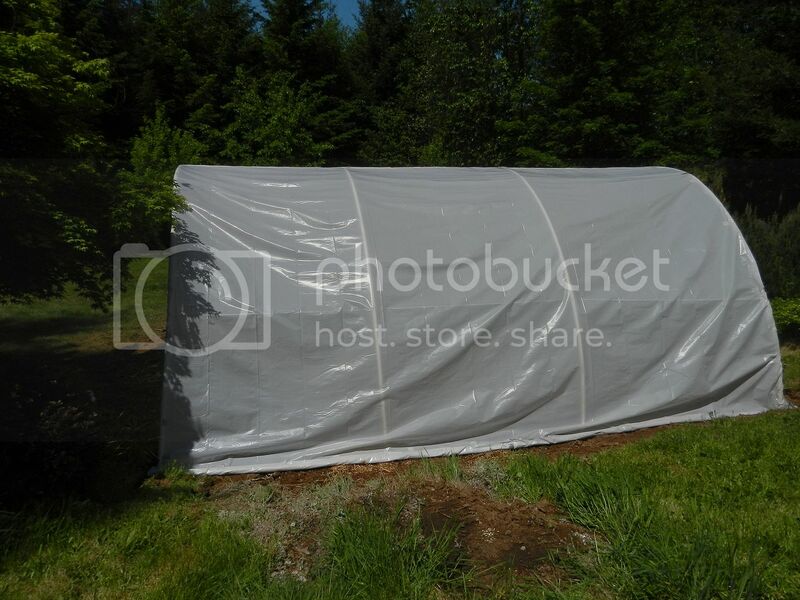 This sort of greenhouse is inexpensive, easy to put up, and scalable to what size you need. You can also modify the construction to suit your needs. 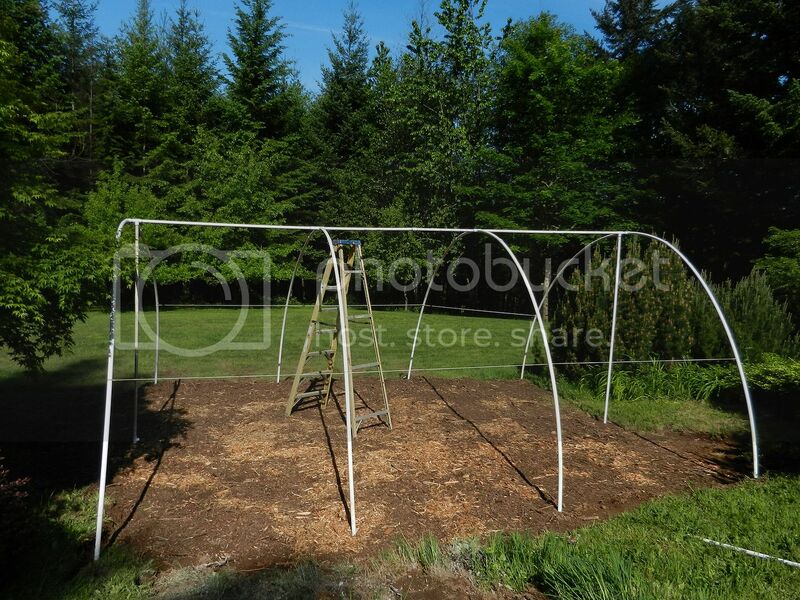 First I decided on what size I needed, this one is 19 feet long by 14 feet wide. 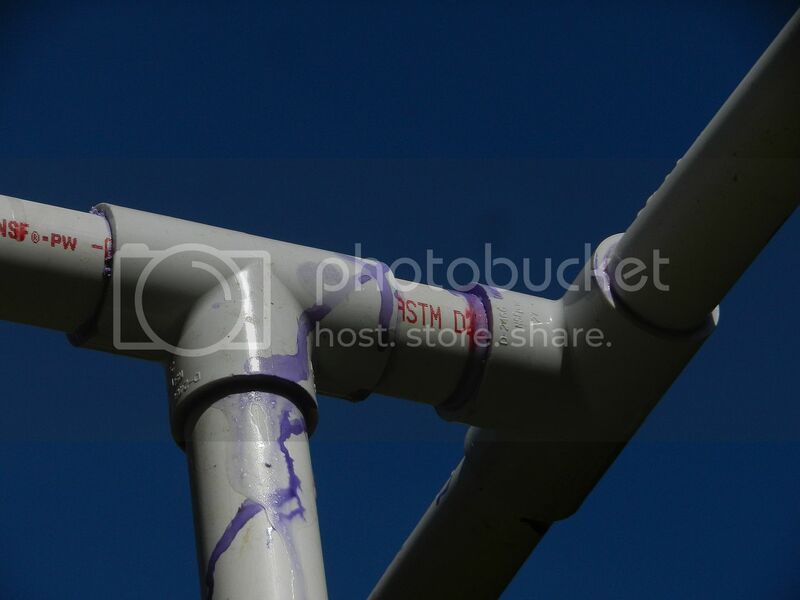 For this size I used one inch PVC pipe. I used two ten foot pipes and two 2 1/2 half foot pipes. I connected the ends with tees and the center arches with cross tees. 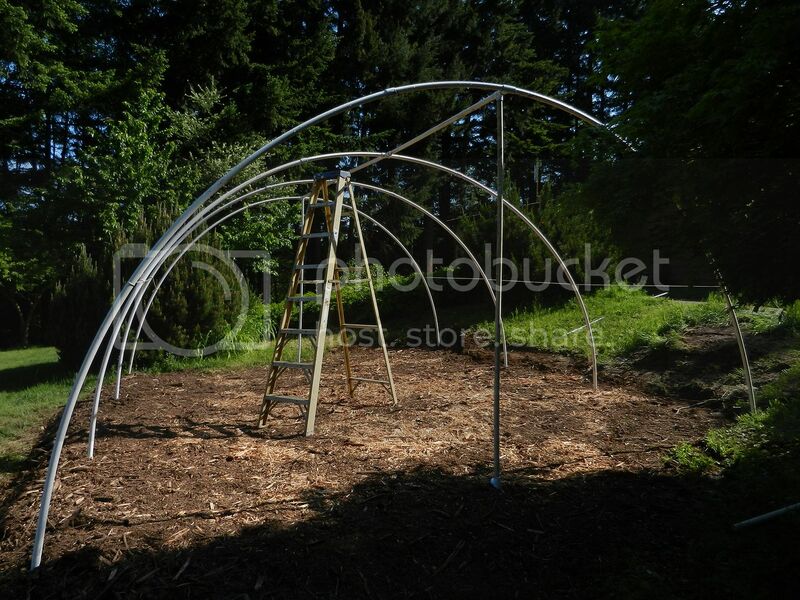 I ran a pipe lengthwise at the top to strengthen and tie the arches together. I also added a pipe vertically to the ends for extra strength. If you are going much smaller then Â¾ inch pipe may work for you. I glued the pipe together and lined it up where I wanted the greenhouse. 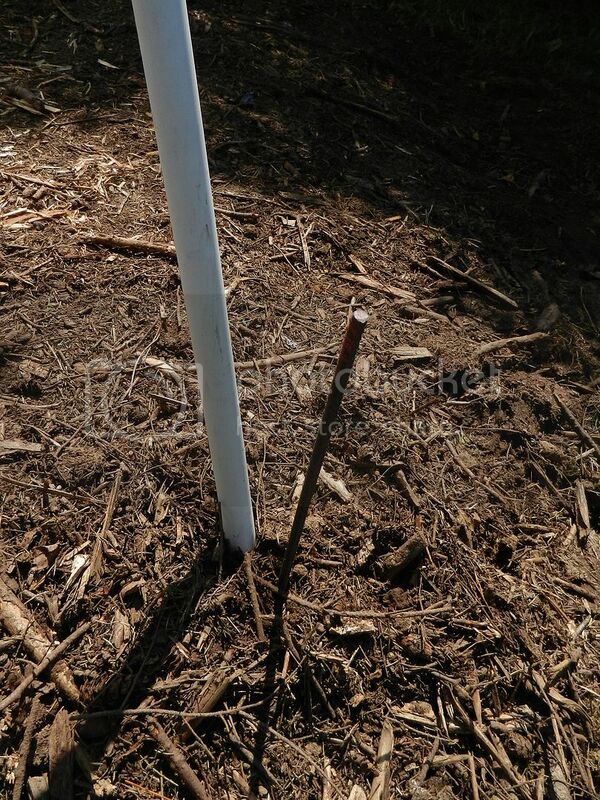 I then drove a 2 to 3' piece of rebar into the ground at one end of the greenhouse, and next to the pipe I had laid out. 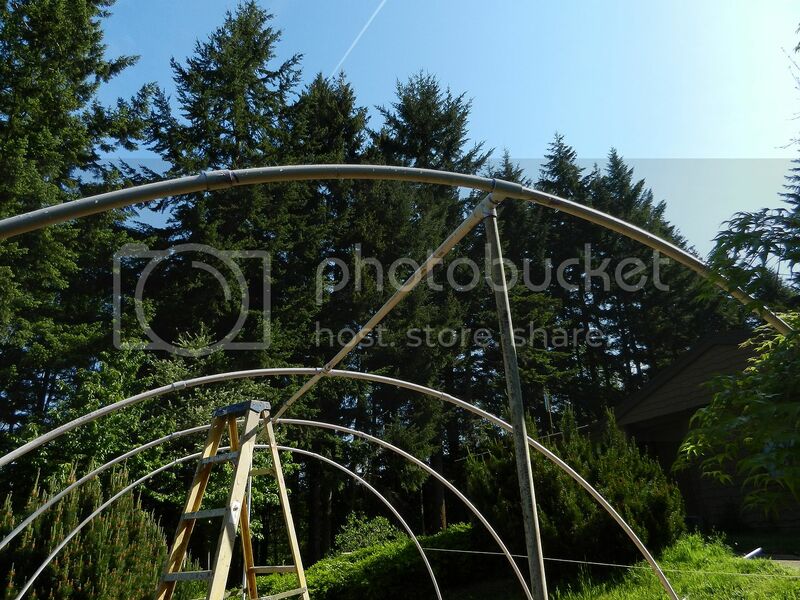 The rebar is for the pipe to slide over, this holds the pipe in place and secures the greenhouse to the ground. I then drove another section of rebar next to the other end of the greenhouse and ran a rope to line up the center sections of rebar; driving rebar next to them. Then measured the other side and did the same there. When the rebar was in the ground I started at one end and slid the pipe over it, working my way from side to side to the end of the greenhouse. I also used a length of rope to tie the arches together making them sturdier. For plastic covering I went to a farm supply store as they sold plastic sheeting in 20' widths, and I got a 20'x50' roll of 6 mill plastic for $60. The stuff I found in the hardware stores was less expensive but it was 10' wide at 6 mills. Ten foot wide was not what I was after; it could work on a smaller version of this green house. 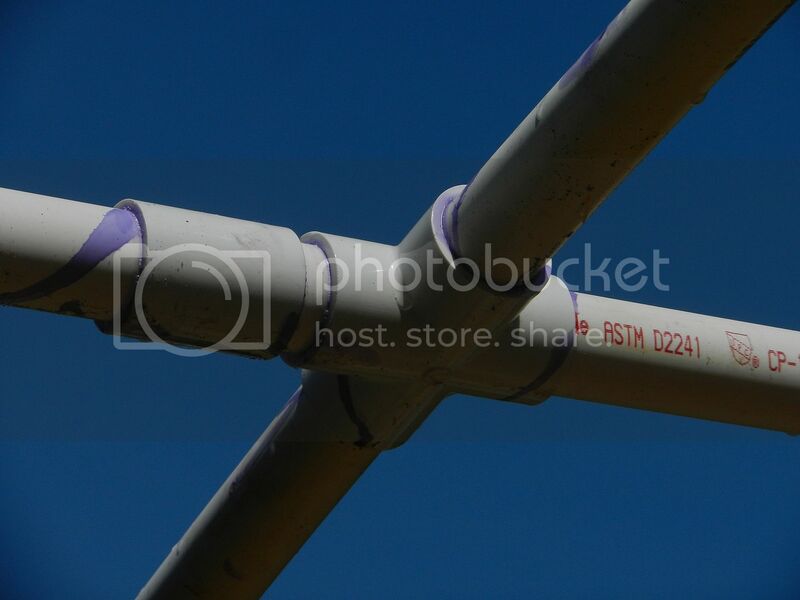 To pull the plastic sheet over the top of the greenhouse I placed a length of 3/4 " pipe on one end of the plastic sheet to use as a way to pull the plastic up and over the one inch pipe. I taped rope to do this and pulled it up like a sail. I used outdoor duct tape to secure the plastic sheathing. 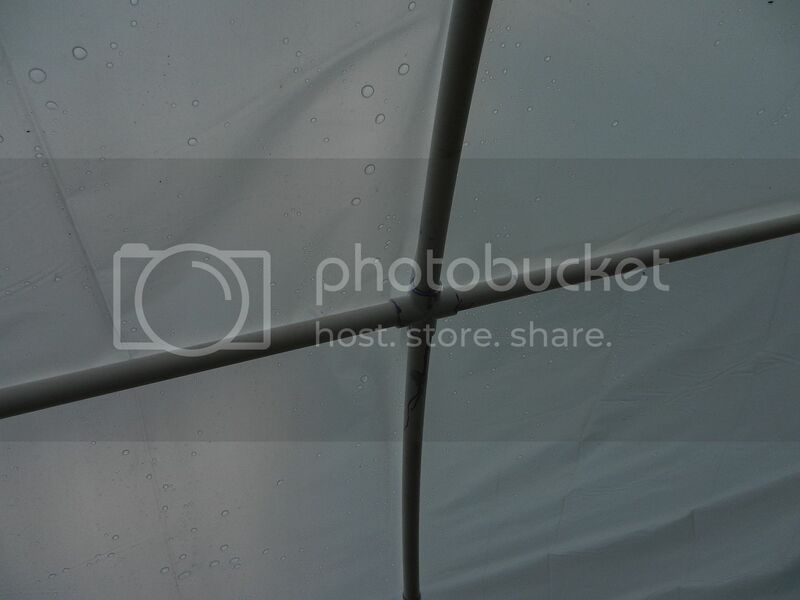 A friend who likes the idea said he was going to try using grummets and tied the plastic sheet down. 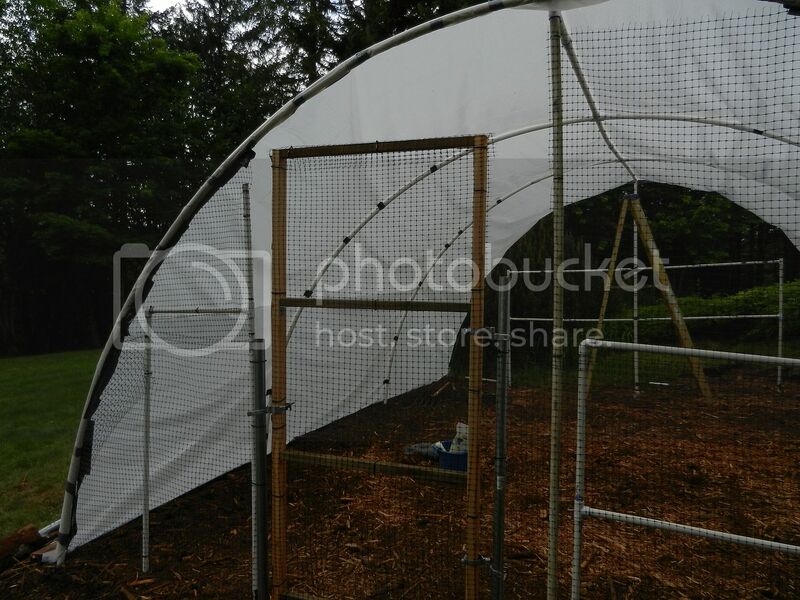 On this greenhouse I added a gate and used deer fence to let air flow through and keep out the deer. Great job, Tom! 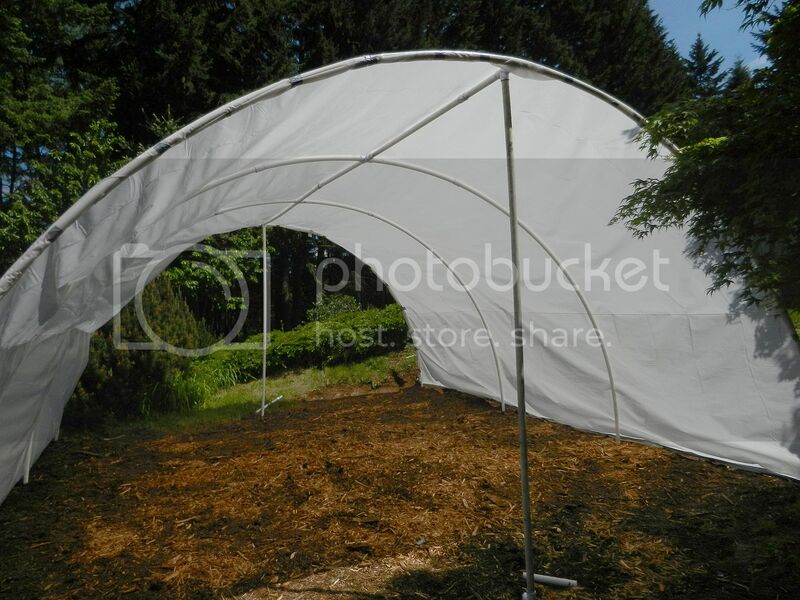 I wish I had a large enough area to put one of those in; I now put a mini-tunnel together for the fall and winter, then use the area for other plantings, come spring. Still considering one, however. How high are the arches? Do I understand that right, Tom? My tunnels are such temporary things. One is only up for about 8 weeks. It's actually a little more secure than the other one since there is a 2 by 4 frame and lathe holds it. The other has lathe holding it also but only around the window and door frames. Bricks laid along the edges hold it ... somewhat. I have to go around after wind gusting above about 30mph and readjust. Those window and door frames and rope crisscrossing over the top keep it from taking off, skyward. It is 8 feet high. The rope only ties the pipes in the arch together, i used duct tape to hold the plastic sheet on.